I would like you to check out this Safety Trailer Hitch product by Karl Pratt. Since we JGW lovers know our vehicle can tow a house, this product would be a NO-Brainer! I just got wind of it when I was watching the Sema Convention on new products for car/trucks on Monster Garage with my two Old Buddies! I'm going to get one for my Gypsy Trailer. If anyone already has one let other club members know how it's working for you. Keep on Saving those Jeep Grand Wagoneers! YA!YA! 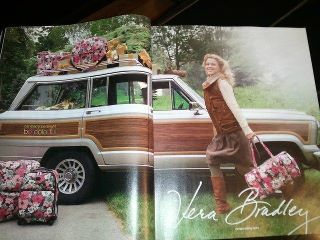 Our member Katie found this picture in Vera Bradley Magazines. YA!YA! Looks like the Advertising Market World likes Jeep Grand Wagoneers. And why not? The Wagoneers have Style and Grace. Check out the Zales Jewery TV Commercial for the Holidays. You will see the wagoneer for a brief second in the beginning and the another shot of it at the end. If you Blink you might miss it. Hollywood also have been putting the Jeep Grand Wagoneers in a lot of their movies, too. So Club Members keep SAVING those JEEP GRAND WAGONEERS where and whenever you can. Pass the word around to all your friends. Let's keep "the Mission" Alive! YA!YA! JGW featured on The Today Show going to Martha's House! The Jeep Grand Wagoneer drove Matt, Al, Anne, Natalie to Martha's House on the Today Show this morning. Check out the video on NBC website. The TODAY family visited Martha Stewartâ?Ts house in Bedford, New York to help the ultimate hostess prepare a memorable Thanksgiving feast. Happy Turkey Day to All Club Members! Best Mom Loves her Jeep Grand Wagoneer! Now this Mom knows a Jeep! Here Ya Go...The Garage! YA!YA! We finally, after 3 years of searching, secured a 15x30 ft garage. Even has steel beams which can hold and engine pull out. to work the majic of restoring my Jeep Grand Wagoneers. Slow go for Oct 2011. Nothing on the calendar yet. Note; Mud run in Kersey was a blast. 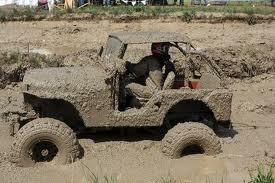 It took us 3 days to get the mud out of the jeep! In the meantime, please check us out on the Face. Keep Saving those Jeep Grand Wagoneers! YA!YA! REquest for a Monthly newletter. WE have been asked to put a monthly newsletter together. Any ideas for a format? We are open for suggestions. The one I like is having contacts in each state locate each other and get to jeeping once a month! Another is, your project hints. What works. What doesn't. Elk County Fair Mud Run on August 12th at 6:00Pm. LABor Day Cool Car Truck and Motorcycle Show in Beautiful San Diego, CA. Sister site is selling their Bikermama Leather Cleaning Formula.-out of biz Sale! Our sister site is sell their business. You heard it right! We are SELLING Bikermama Leather Cleaning Formula! You can make a much better formula for under $20 bucks yourself using cow oil instead of sheeps oil, which they put in harley products. We are selling because we have another business project on the horizon and it needs more work than we can afford to go to biker events. WE will sell you a kit to get started on making your on products. 2. A list of all the suppliers and their contacts. 3. A bottle of our Leather Cleaning Formula(until we run out of our supplies). 5. Cost of Kit ...$40.00 US Dolalrs only! Please send cash only or PO Money order to our address in "contact information". Rat Rod Car of the Future Jetson style! 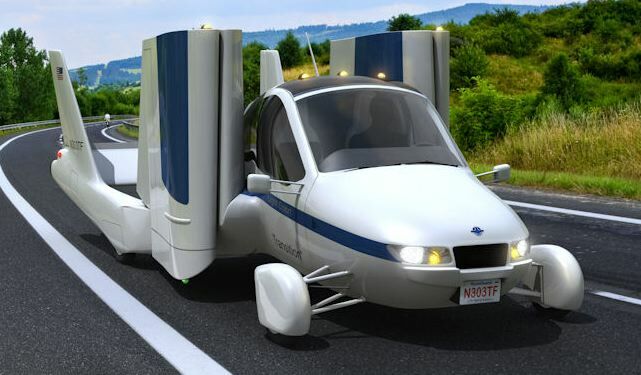 Here is a guy that is thinking outside the box when it comes to cars for the future. I am game. May even invest in one. Love the idea! Saving Jeep Grand Wagoneers Club on Facebook now has 35 members. Wow! Who would have thought we are world-wide. It has come to our attention that Wagoneers would like to start helping each other out. So we want to encourage you to post on our Facebook page what you need and what state you are in. So let's network the hell out of this and keep growing to save these beauties from the scrap yards. Feel free to post what you need and let's keep connecting. Note: Try this link otherwise hit the FB link below on the right! Anther Pic of Selling "Mr.Bob" Restore Project. Mr Bob is on the Left! Note: still can't get this browser picture thing to upload. I am going to try to post the pictures below. Selling "MR Bob" Restore Project. Incase anyone is interested, we are sell "MR.Bob" Restore Project for what we have into it right now. Honorable,which I am sure there are, we only sell the vehicles for the amt of money we put into into them. I will sell you "Mr. Bob"(nickname). 2. Registration PA title =$100.00. 4. Tires =$100.00( used plenty of tread above dimes head). 5. Rocker Panesl New and still in box unopen($225.00 that included $50 shipping). If you still want to restore this beauty of a work horse let me know? in Pittsburgh, PA. I have to dig that phone out for you. They can deliever anywhere in USA! 1. needs major body work. (check out blog on what this guy did on his from Youtube). 3. 4 x wheel overhaul transfer case. 4. Brakes all work but I would redo pads and wheel bearings. 5. overhall and clean up on interior. Also: all electrical works. windows, doors, lights. horn.Back window needs some help. I was getting it ready to pass inspection. I will send you the vin# if you want to carfax it. There it is in a nut shell. If you are interested call me ASAP! Thank You for your restore intested in Jeep Grand Wagoneers! PS: You can contact me on the cell # 814-389-6119 for any questions. Question #1: Frame Condition . YES the frame will pass Inspection. It was patched with steel plate at left Rear and Right Rear frame by a mechanic that inspections cars/trucks at the garage. Note: these jeeps always, without fail, rust in the rear frames. Ok, I am trying to upload my pictures but the browser seems to be stuck so as soon as I can get it unstuck email me and I can send them in an attachment. Thanks. "techno jeep" Hot off the GearGathers.org WILD! Now this is very creative "techno jeep" music. Hot off of GearGathers.org. Go Gearheads. Here's your chance to get your Ride restored Free! Pass this information along to all you gear and block head and rat rodders etc! PowerBlock TV is having a contest to Restore your vehicle. Check out their website and sign up. We entered our Jeep Grand Wagoneers. YA!YA! We have become a Nation of Wusses! "We have become a Nation of Wusses! I love it!